Children's Fishing Tournament. Kids (aged 5-15) must be the main fisherman and accompanied by an adult to register their fish. Please bring your own poles and bait. Fun and Prizes! 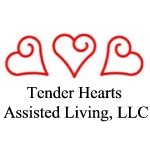 Trophies sponsored by Tender Hearts Assisted Living awarded in over 12 different categories! Come down and join in the fun. All participants get a chance to win a brand new rod and reel from our friends with the Outer Green Bay Musky Association and The Great Lakes Sports Fisherman's Association. Gates will open at 8:30 am for the participants and their families. Nobody will be let in prior to this time. Registration will begin at 9:30, only fish caught after 9:30 will be eligible for registration. All fishing tournament participants and their guardians can enter the grounds for free before 11 am. Select Vendors will be open for food and beverage purchases.